Our staff will get you your cash fast and send you on your way. We strive to provide excellent customer service and offer the best return on your metals and alloys. Whether you have a little or a lot, we provide fast, friendly service with the highest rate of return. Why settle for less when you can get more? 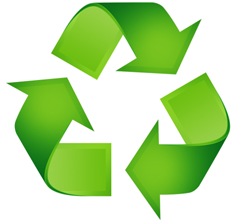 At Sun-Lite Metals, our staff is ready to serve everyone from the individual recycler to the large corporation. Our goal is to offer impeccable service and provide top prices for your metals and alloys. We even offer convenient pick-up service. So if you cannot come to us we will come to you. All size containers provided at no cost! Industrial pickup service! Monday-Friday: 7 a.m. to 5 p.m. Saturday: 7 a.m. to 2 p.m.